Learn how to use a homestead management binder to track the happenings and progress on your homestead! And don’t forget to download your copy of our free Homestead Management Binder! Click Here to Learn About the New Updates and Additional Pages in the 2019 Version! Living sustainably is enough of a chore without trying to figure out the bookkeeping side of it all! And I wanted to make that easier for you. Over the last year, I have been dreaming and thinking about the best way to organize and track all of our homestead-related expenses, income, projects, and garden info. So, drumroll please…. I present the Urban Homestead Management Binder! Seriously peeps, this is the shiz when it comes to taking care of the bookkeeping side of your homesteading adventures. And, I’m giving it to you for free, cause I want you all to focus on the fun stuff: growing food, simplifying your life and cultivating more happiness! Just drop your name and email address in the boxes at the bottom of this post and I will send a copy your way!! Monthly Progress Report: It’s easy to get caught up in all the work that needs to be done and forget about the work we have done already! This page is a place to track your progress and celebrate the little victories! 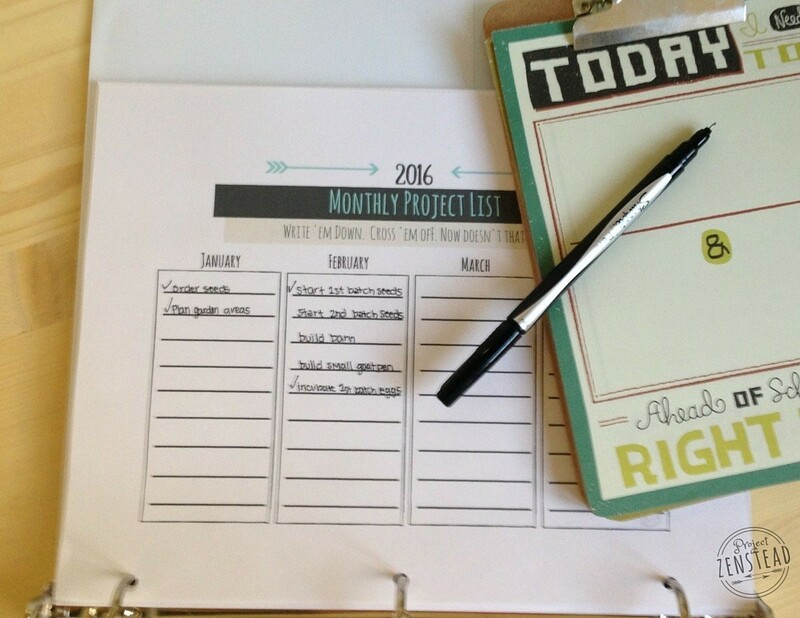 Monthly Project List: Each new season and new month brings with it a to-do list. Use these pages to write down monthly to-do items so nothing is forgotten. Annual Financial Overview: This is the place to tally up your financials at the end of the year and see how you did! There is a line for each expense and income total from the categories listed in the sections below. 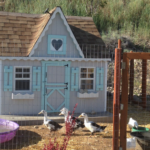 Starting and sustaining a homestead will definitely incur expenses, whether you have 25 acres or .25 acres! The expense section of the Urban Homestead Management Binder includes a monthly expense tracking page for each of the categories below. Each page provides space to record purchase date, item details and cost. Chances are, you will eventually start earning an income from your homestead, whether it’s selling honey to a neighbor or selling produce at a farmer’s market. 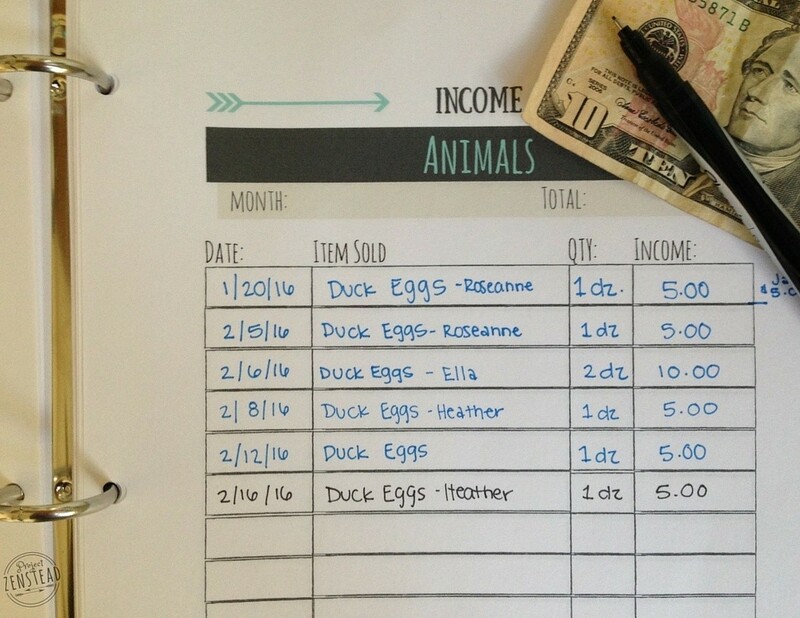 The income section of the Urban Homestead Management Binder will be your best friend when it comes to tracking sales. I have included a monthly income tracking page for each of the categories below. – Customer Contact List: The customer contact list allows you to record important customer contact information, including name, address, email address, phone number, products purchased, and more! Garden Blueprints: This is a space you can use to plan out your garden areas and record what you have planted in each spot. I always end up printing several of these pages and use one for each garden bed. Planting Tracker: This is the ultimate tracker for each of your plants or crops! Record the crop/plant name, date planted, production date, and any care and production notes. It’s so nice to have all that info in one place so that you can refer back to it year after year! Food Preservation Log: This is one of my favorites! It provides a place to record all the hard work you did during harvest! Record your food preservation amounts, dates, and methods. 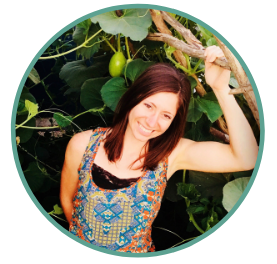 How you use the Urban Homestead Management Binder is entirely up to you! I designed it to provide as much flexibility as possible, because no two homesteads are operated the same way. And while it is geared towards urban and small acreage homesteads, you can definitely adapt it to fit larger scale homesteads as well. It’s all about finding the method that works best for you! Print Only What You Want/Need: You may not need all of the pages, so don’t feel obligated to print them all. You can print pages as you go, or print everything you will need for the year. Combine Pages to Save Trees: I’m sure there’s a little tree hugger in us all, so don’t feel like you have to print a new expense or income page for each month if you don’t need it. I usually combine multiple months onto one page and just tally each month as I go. 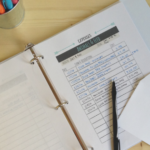 Create a Binder: I usually print out at least one of each of the pages to begin with (I add more as needed), hole punch them, and place them in a 3-ring binder. Next year, I would really like to print an entire year’s worth of pages and take them to a copy & print shop to have them bound so that I have a nice, professionally bound book to use throughout the year. Add Extras: The sky is the limit! 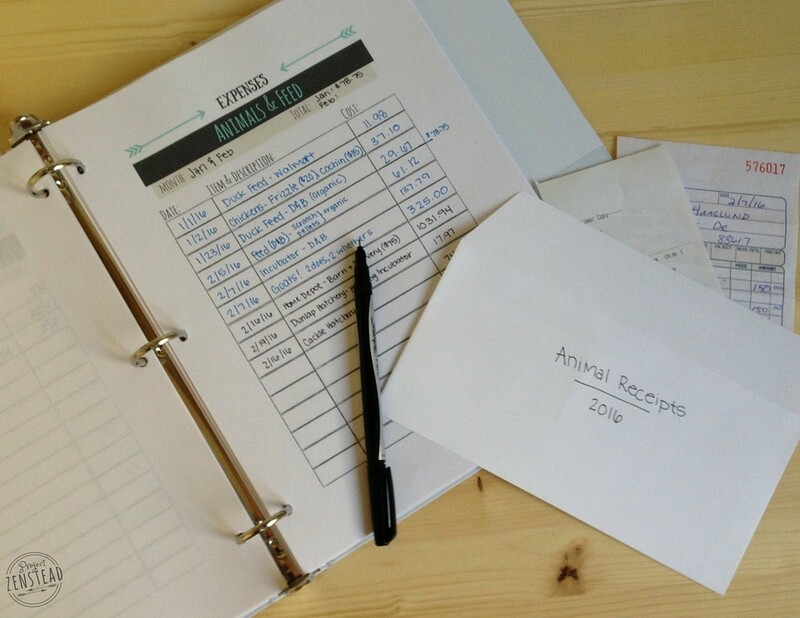 Add sticky tabs to separate the different sections, include envelopes and page protectors to hold receipts, add daily planner pages, keep sticky notes handy by sticking a stack of them inside the binder cover, etc. The important thing is to make your binder work for you! I really am excited to be sharing this with you guys! I put a lot of hours into designing it so that it would be functional for a wide range of people and homesteading styles, from the beginner growing their first garden to the experienced self-sustained homesteader. I hope that it adds value to your life and makes managing your homestead a little bit easier! Oh, and did I mention that it’s free?! 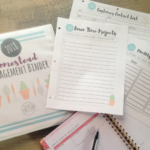 If you haven’t gotten your copy of the Urban Homestead Management Binder yet, just click on the button below to get access to the binder along with all our other free printables! 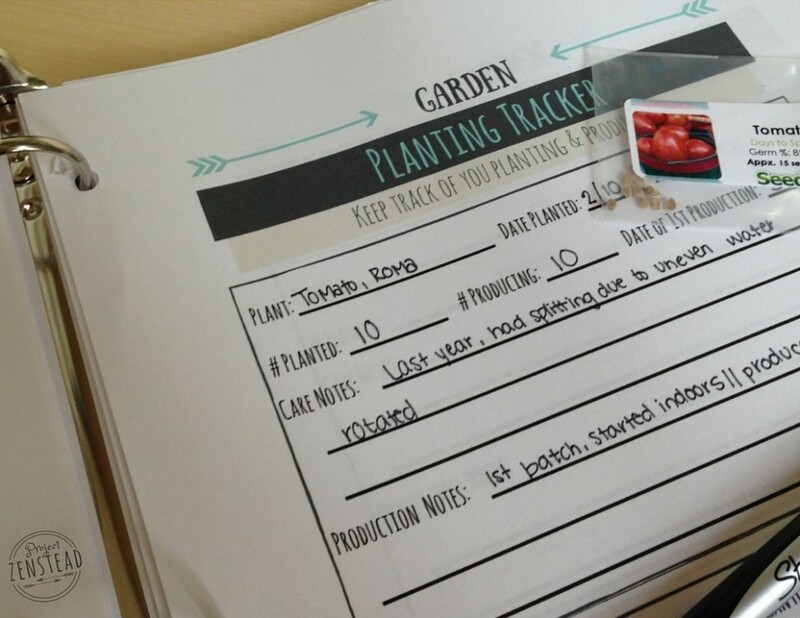 Have you tried our Urban Homestead Management Binder? 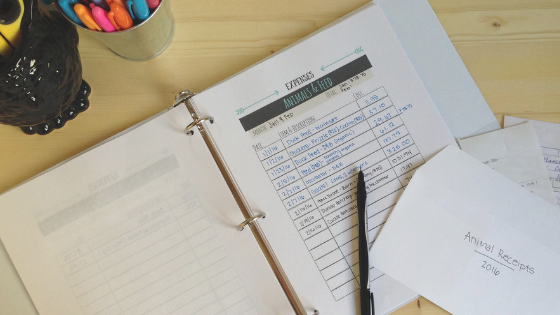 What cool tips and tricks have made the binder work even better for you? 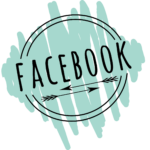 We would love to have you share and inspire us by leaving a comment below! Starting on my second year on our farm and I can use all the help I can get. I would appreciate a copy very much. Thank you. Hey Ariane! Congratulations on year two on your farm! You should be receiving an email soon with the Urban Homestead Management Binder, but let me know if you don’t receive it for any reason. Keep us updated on your progress – we would love to hear more about your farm! Hey Connie! Just wanted to check and make sure you got signed up okay and got your copy! Let me know if there’s anything I can do to help 🙂 Enjoy! Hi there. Would love a copy of your binder. Being sooo busy it would be a great help. Hi Anne! I do love a good Excel spreadsheet as well, but sometimes it’s nice to have a piece of paper in front of you to write everything down on 🙂 How fun though to have all those little critters! I would love to have some pheasants someday! Thanks for sharing – I love hearing what everyone is growing/working on! I am already in love with your whole blog! My husband and I just started our mini-garden, but have goals of a full-blown small farm within the next few years. I can’t wait to see more!! Hi Lori! I completely understand! I’m actually planning on having several upcoming posts about ways to profit from your small acreage… ’cause who doesn’t want to live the dream?! I actually just posted an article about 85 things you can sell at farmer’s markets that aren’t produce! You can check it out right over here 🙂 I definitely think that even a small piece of land can turn a profit if you have the right ambition for it! 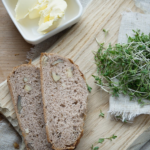 I’d love to hear more about your farm and how you plan on marketing your farm fresh products! Hello! We are closing on our own small acreage farm in just a couple of weeks. I’d love to use your binder pages as I am starting from scratch (and learning along the way). I truly appreciate all of the tips in this blog. Hey there! Thanks for dropping by and CONGRATS on your new land! I am so excited for you guys! I love your blog post about selling all your possessions and living in your RV! I haven’t officially announced it yet, but we actually just sold our house and are going to be building a small (around 600 sq ft) home on about 3 acres. I loved reading how you made your RV work so well for your needs! And I can’t wait to hear more as you guys start your new adventure on your own little piece of earth! Be sure to keep us up to date! It looks like you’ve gotten signed up to receive the email with the binder, but if you are having a hard time at all, just let me know! I’m glad that it will work well for you! I know I searched high and low before just giving up and making my own 🙂 So I’m more than happy to share it with everyone! Cute website by the way – you’ve got some great photos! would love a copy of this! Thanks! Hey Kendra! You should be receiving an email soon with a little intro info about what we are all about and a link to download the binder (for free of course)! 🙂 Enjoy!! My husband and I just started homesteading this year we have goats and started a huge garden and plant to make soaps and cheese from goats milk and sell it so this would be perfect. Is there a way I could get these? Hey Crystal! That is so awesome you guys! Sounds very similar to what we are working towards! It looks like you were able to sign up to receive the binder, but just let me know if you need any help! What a great way to combine all your homesteading information, can’t wait to get started on mine! Thanks, Lindsey! I hope you enjoy it! I signed up but never recevied my copy, how am I to get that? Hi Randi! There is a link in the email that you should have received (it’s towards the bottom of the email) that you can click on to download and print the binder. I will resend a copy of it to you just in case it never made it to you 🙂 You may also want to check your Spam folder just in case it’s in there. Let me know if you need any further help and have a fantastic day! I got signed up ok, but was wondering how long it takes to receive the copy? Hi Amanda! You should receive an email right away. It will have a little introduction to who we are and what we do and also a link to download and print the binder (it’s towards the bottom of the email). Double check your spam folder as well just in case the email made its way into that folder. I will send another copy of the email to you now just in case 🙂 Let me know if you need any more help! Awesome! Just signed up to get my copy; can’t wait! Thanks so much for this! I’m sure it took some time & work on your part to create this for others, and it’s appreciated! It definitely took some time, but it’s so worth it! And even more worth it when more and more people can enjoy and use it too!! Thank you so much for the management binder copy, I have been looking for a set like this for a few months now! Excited to use it very soon. We’re still looking for our perfect homestead home/land, but have big dreams for the future. Following you on Pinterest, and can’t wait to read all you have on your blog? I feel ya! The full time grind can definitely put a damper on a hobby farm! I hope this makes things a little easier for you! Hi there! I would love a copy of this binder! my husband and I are going to be starting this process and are very excited! Would love a copy of this management book! Keep up the awesome work and stay in touch! Such a great post! It’s a rainy day here and I’ve been in a slump as to what to tackle first! This would be such a help! Hey Staci! Isn’t it crazy how easy it is to get overwhelmed in this lifestyle?! So many things to do and so many projects that you want to tackle… it’s hard to know where to start sometimes! I hope this helps you feel a bit more organized and ready to take on the world (or at least the garden)! By the way, I love your blog and signed up for your newsletter… we just bought a 1952 fixer-upper and are all about the DIY! We could really use your electrician husband right about now! I would love a copy. Please and thank you! This sounds like just what the doctor ordered. Thanks so much for creating it and for sharing. I can’t wait to get started. Thanks again. 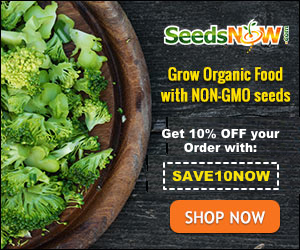 Thank You so much for offering this to homesteaders and want a be farmers. We have 30 layers and would love to expand into a larger farm some day. This would go hand in hand with my business plan, and starting to keep records on expenses and returns will be a good start in understanding where our highs and lows are. That’s fantastic, Andre! Starting a small farm business is a big feat, but it will be so worth it! We are all here, cheering you on! Keep in touch – we would love to hear about progress and the things you learn in the process! Hey! I just sent you a new email with a PDF version of the printable binder attached. Hopefully it works better for you! Thank you for offering this resource! Being relatively new to the farming adventure I love seeing what people are using, and being able to improve my own knowledge. Thanks! It looks like you got all signed up and you should have received your copy 🙂 Let me know if you have any questions. Looks great! I’m so excited! Thank you for sharing! Hi Cauley! I have you added so watch for an email from me! Be sure to check your spam/promotions folder if you don’t see it soon. In the email, you will find the link to download the binder printables. Enjoy! I can not wait for this! We are just starting on our journey! This will help so much!! Wonderful!! I am so glad ou are fired up to jump in and begin your adventure! Enjoy every minute! Love this idea! Quick question. Have you came across anything that would allow for photo inventory of breeding livestock? 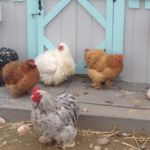 I am hoping to keep track of our breeding hens and roosters with accompaning photos. Thank you for your homesteading binder! Oh I love that idea! Are you wanting to keep track of it digitally or on paper? I have heard that Easy Keeper (https://www.easykeeper.com) can be a good software for herd management (it’s primarily focused on goats). I wonder if it would work for chickens? They have a free 30 day trial so at least you could try it out. And let us know what you think! Hi Emily! You should be getting an email from me soon with a link to download the homestead management binder. Be sure to check your spam/promotions folder if you don’t see it. Enjoy and let me know if there is anything else I can help you with! Hi there! i tried to sign up for a copy and i never got an email back. I would love a copy of these helpful record keeping pages! Hi Stacey! There’s a welcome email headed your way! It will have a link to download your copy of the binder. Be sure to check your junk/spam if you don’t see it in your inbox and let me know if you have any questions. This is perfect thank you. I am just writing the business plan and working on getting my farm loan. I hope to have 10 acres in the fall and start working it. In spring 2018 get my animals and start building the house and working the garden. It’s a huge step to do this on my own but I can’t wait. Can’t wait to download my copy! Been checking my email for a while now, nothing yet. I just sent you an email to check in and make sure that you got your copy! Let me know if you need anything. May I please have a copy of the homestead binder? I’ve received the bonus pages but not the original binder. Would love a copy. I have papers everywhere 😳 So far have chickens and Nigerian dwarf goats for animals. A huge garden and herb spiral. Hope to add a greenhouse this year and another chicken coop. So fun!! You should be receiving a welcome email from me soon and it will have a link to the Homestead Management Binder printable. I just downloaded your 2017 binder. However, I was thinking how nice and organized it is and as I’m sitting here trying to go over everything for 2016 taxes, I’m seeing how unorganized I am. I was wondering if you have a 2016 binder available for download? You are welcome, Sarah! I hope you enjoy it! I would love a copy of this binder if it is still available! Hi, Dionne! Thanks for your kind words! You should see an email soon with your copy of the binder (if you haven’t already received it). Be sure to check your spam/junk folder and let me know if it doesn’t arrive. I hope you enjoy it! Best wishes to you and your family as you build your food farm! That’s fantastic, Megan! You should get an email soon with a password so that you can access all of our freebies! I hope they help you with your new ranch! Enjoy! Hi Rachel! It looks like you got signed up so you will get a welcome email from me with a password so that you can sign in and access all the freebies! Woo Hoo! Let me know if you have any questions! You should get an email from me soon which will have a link to download your free copy of the Homestead Management Binder. Be sure to check your spam if you don’t see it soon. I hope you enjoy it! I’ve been trying to find a way to track everything. This sounds like the ticket. Can’t wait to get started. Thank you so much! I found this vary useful in organizing the chaos of my desk. This also helped put things Further into prospective for my husband and I. Many thanks! I would love a copy as well!! You are all signed up and will get an email from me soon! Be sure to check your spam/junk mail if you don’t see it. Enjoy! These look amazing!! I can’t wait to get my email and get started amping up my November chores! Awesome! Fall is the perfect time to get organized and caught up on all those little details! Enjoy! This binder looks AMAZING! I cannot wait to receive a copy, we just purchased a 5 acre farm! How exciting! Five acres will give you plenty of room to grow and develop your passions! Best wishes to you! I would love a copy to get ahead for 2018! Just found your web site and I’m interested in learning everything I can about urban homesteading. I have hopes of living where I’d have a tad more room for growing food but for now I’d like to learn and do what I can. We are new to our rural neighborhood and everything seems overwhelming. Looking forward to getting ourselves organized and productive. Thank you for the assistance. Welcome, Elly! We are here to help in any way we can! It can definitely be overwhelming, and I’m not sure that feeling ever completely goes away 🙂 Just focus on baby steps and consistent progress and you will amaze yourself with how far you can go! I look forward to the Homestead Management Binder. Is it too late to request a copy of your homestead management pages? I really appreciate your offer and could use more help organizing my farm life! Never too late 🙂 And, the updated 2018 version is my favorite yet! Watch your inbox, you should get an email from kaylee@projectzenstead soon! It will have the instructions for downloading the binder. If you don’t see it soon, check your spam folders and let me know if you need any help. I would love a copy of your organizer. I requested password twice and haven’t received it. I think I checked all possible email folders including spam. Thanks in advance. Thrilled to have found your blog! May we please have a copy? Thanks you so much! Welcome email is coming your way! It will have the instructions to download the binder and get started! Be sure to check your spam/junk folders or let me know if you don’t see it soon! Got you added! You should receive an email shortly! Enjoy! May I have a copy too, please!? Hi Brittney! Looks like you are all signed up and should have received your copy via email. Let me know if there’s anything else I can help you with! Happy homesteading! To get your copy, just click on the light blue “Click Here” button above and enter your email info and a copy will be on its way to you! 🙂 I hope you enjoy it! Just found your site – redirected from another site – loving it so far! Wow! This seems super helpful… I’m TERRIBLE at organizing! I would love a copy of this product!